We all know that every single pup has their own unique personality, which means that they have their own likes and dislikes! Which means not every single treat or toy is going to work for every single pup, even if they both came from the same litter. Pups aren’t just copy-pasted copies of each other, after all! 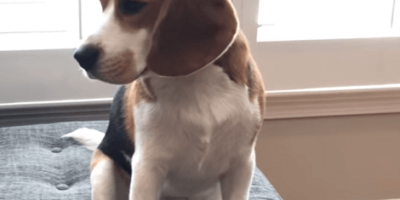 So in this video, Dad is going to celebrate all the little differences and quirks that makes Oliver the Beagle pup special! Also, there is something else that they are both celebrating in this video – Oliver’s second birthday! This means that Oliver gets to have some birthday cake to eat, and birthday presents to open! Sounds like a fun time for Oliver. While this pup gets busy doing all that, Dad decides to list out five of Oliver’s top five favorite things, and then follow up with this pup’s top five least favorite things!